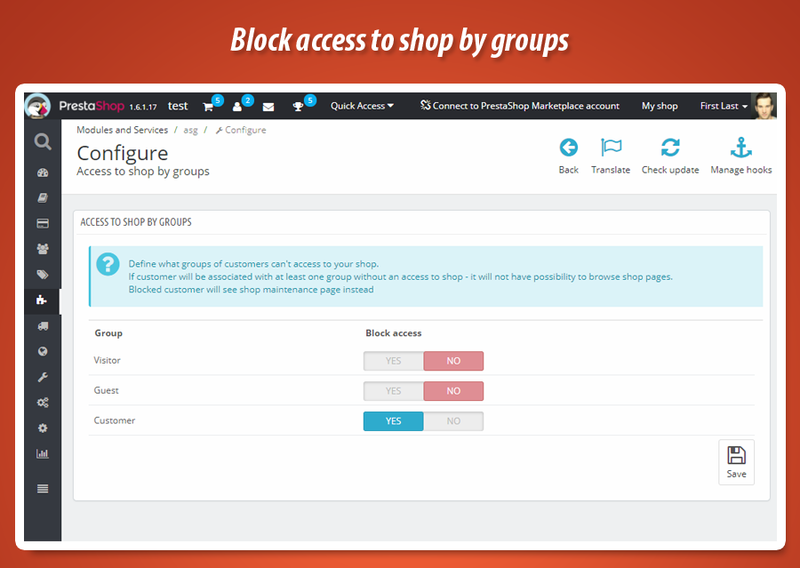 With this module you can block access to shop for selected groups of customers. 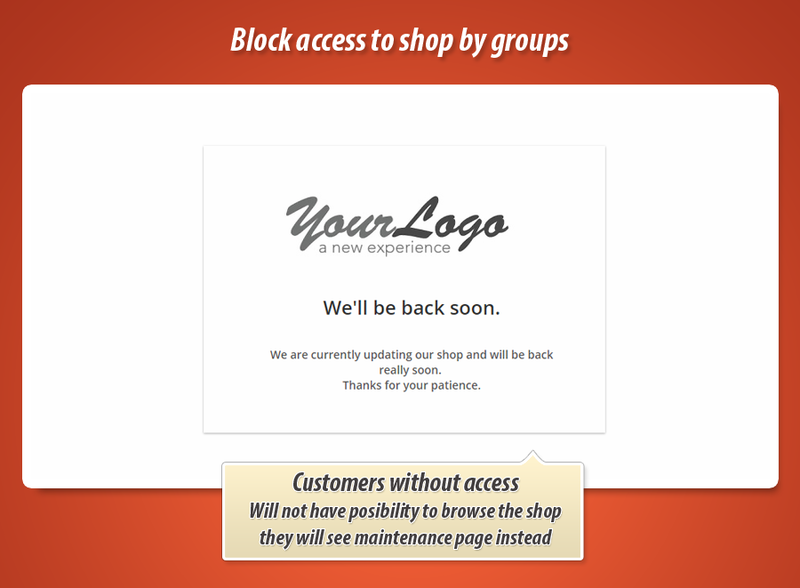 If customer that browses the shop will be associated with at least one group without an access - module will block possibility to browse the shop and show the maintenance page. Module gives you possibility to block access to shop for selected groups of customers, while other customers (associated with groups that have an access to shop) will see your store. It is a great way to create a kind of "private" shop, where only privileged customers can explore the catalog and place orders. 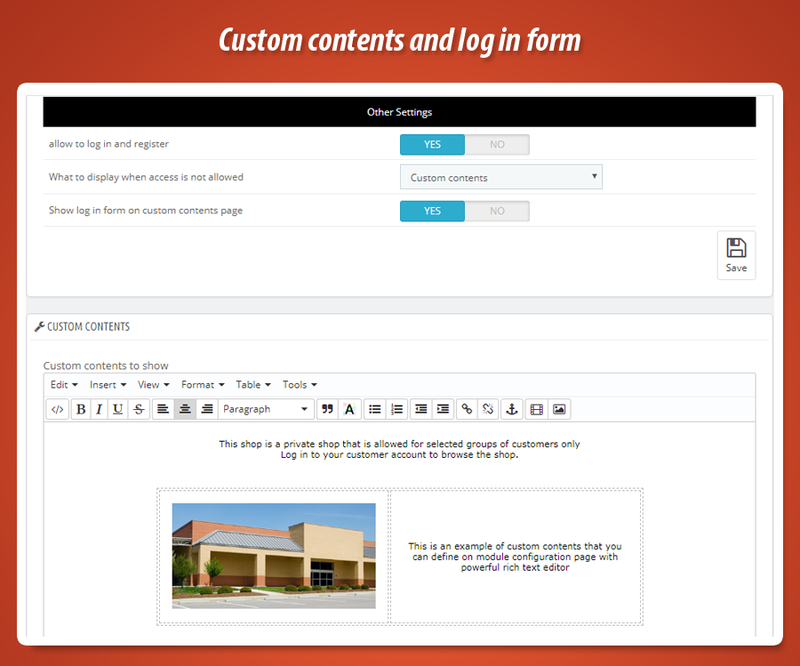 Module configuration page allows to define what groups of customers will not have an access to your online store. Groups for which you will activate feature to "block access" will not have possibility to explore your store. 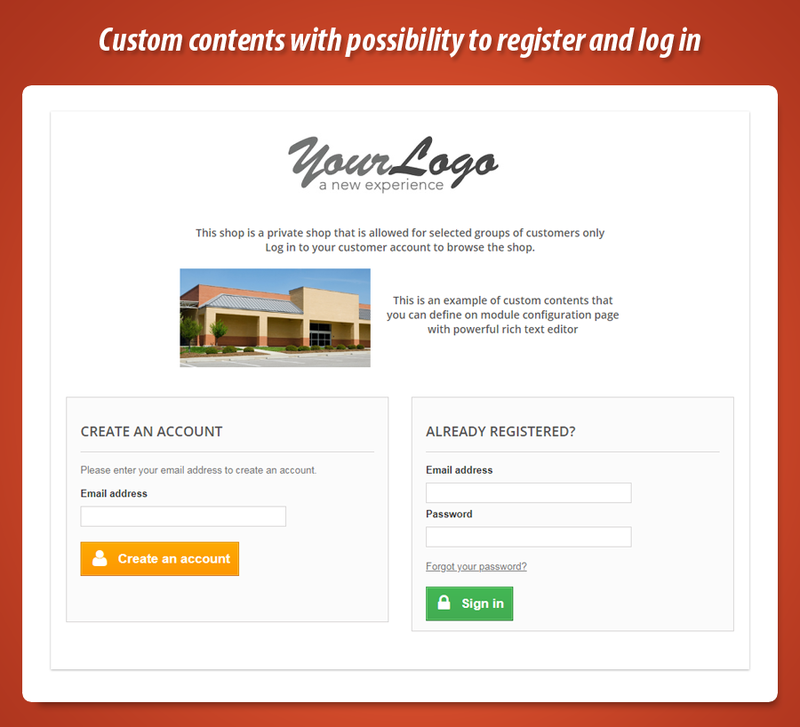 You can allow visitors to log in or to register in your shop. Visitor that browse your shop will see a kind of "maintenance" page for each page different than "authentication" page.